The tiny island of Koh Tao is now more popular than ever. In previous years, scuba diving was pretty much the only reason that brought people to Koh Tao, but now tourists come simply to enjoy the island itself. 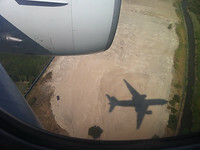 As I’ve written previously, Koh Tao is not just for scuba divers anymore. As such, the demand for accommodation on Koh Tao is changing as well, and there are now several 5 Star Koh Tao hotel options for those who want something more luxurious. 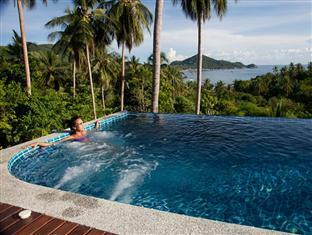 Finding 5 Five Star hotels on Koh Tao is not as straightforward as major tourist destinations. Koh Tao is not like Koh Samui, which has a plethora of well established and highly praised 5 star hotels, like the Tongsai Bay, Santi Buri and Sila Evason Hideaway. 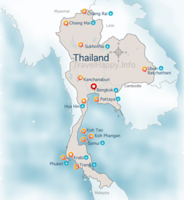 There’s also several international luxury hotel brands on Samui too like the Four Seasons Samui and the Marriott-owned Renaissance. You won’t find any of that on Koh Tao, and you get less bang for your buck because Koh Tao is much more remote than Koh Samui. Built in 2007, Monkey Flower Villa was one of the pioneers of private villas on Koh Tao and has a reputation for excellent, personal service and a home away from home feel. Each villa is comfortable and well appointed with amazing sea views, privacy and a superb private swimming pool. You can read reviews of Monkey Flower Villa on Agoda which are uniformly excellent. There is also a driver on hand to take guests to and from the villa to other places on Koh Tao, which makes it super convenient to explore the island. Guests are also given a mobile phone to be able to call the villa if they need anything while out and about. 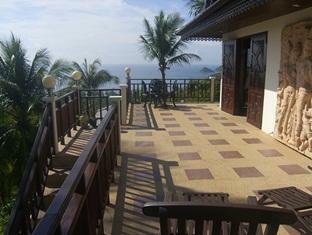 The villa is located away on a hillside five minutes walk down to the beach and enjoys peace and quiet. Spectacular and secluded, Jamahkiri is built into the side of one of Koh Tao’s hills with amazing views over the waters of Shark Bay from the beautiful traditional wooden restaurant. There are lots of spa and massage treatments here too – the ideal place to go and do nothing for a couple of days. Its location up an extremely steep and uncomfortable dirt track only negotiable by a 4 wheel drive makes going anywhere else on the island difficult at best – so more than a couple of days here might send you stir crazy if you want to do more than eat, sleep and be pampered. Agoda has numerous positive reviews of Jamahkiri, with the main complaints being the road there and the restaurant being overpriced (it is, but it’s at least decent food and it’s got a great ambience). Perched above Koh Tao’s main strip Sairee Beach, Anankhira is a lot more conveniently located to explore the island from and has luxury chalets in Balinese styles which each have their private plunge pool. There is peace and quiet and also privacy too. Do note that while it’s not too far to the beach there’s a lot of steps involved so it’s still quite a hike. When Anankhira first opened there were quite mixed reviews as to the quality of the experience – attention to detail seemed to be a little hit and miss. However, in the last couple of years a new management team has really excelled in making Anankhira both stunning in location and excellent for service. 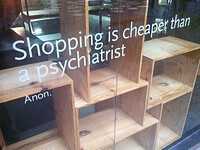 It’s definitely worth reading the Booking.com opinions of Anankhira before you make your own decision. Half the price of Anankhira and considered to be just as good by some guests, Thipwimarn is located high up above Sairee beach, so you get great sea views but also have a long walk up and down stairs to get to the beach. If you are in the mood for a secluded spot where you won’t be moving very far from the pool and the sunlounger, that probably won’t be a problem. If you want to get out and about on the island, not so much. It has a restaurant that gets a lot of favourable mentions, and would work well as a counterpoint to Jamahkiri. 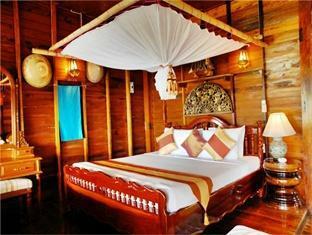 The reviews of Thipwimarn are largely positive, noting that Thipwimarn is more like a 4 star that charges 5 star prices. Haadtien is a new luxury resort on Koh Tao and has a variety of different villas available to suit different budgets while providing the convenience of being within a hotel resort. It’s become a popular place thanks to the well-appointed villas and excellent service, and also the location – right on the beach at Shark Bay, one of Koh Tao’s most beautiful beaches and perfect for snorkelling. Koh Tao Montra is a brand new hotel that’s on Sairee Beach, near to Sairee Village and Mae Haad, so if you like to party you are within walking distance of the nightlife hotspots that are scattered along the beachfront and also in Mae Haad itself. The Montra is one of the new wave of hotels on Koh Tao that defined a bigger, better standard for accommodation than what went before. There’s spacious, luxury rooms and large grounds to relax in, along with access to the smorgasbord of great restaurants – both Thai and international – that are on Sairee Beach and Mae Haad. A big swimming pool and good staff service make Montra a great choice. The resort is perfect for those looking for peace and quiet too. It’s a short taxi ride back to Sairee Beach for the main drag of restaurants and nightlife, so be aware of that if you want to explore the island. Also note that the resort is built on the cliffside so there are a lot of steps to go up and down as you walk around the Dusit Buncha’s grounds. One of the original resort operations to open on the island, Koh Tao Cabana recently reinvented itself as an upmarket resort with a range of accommodation to suits all budgets. Top of the range is the Honeymoon Villa provides the privacy of a villa with all the conveniences of a resort available too. Given its early origins, Koh Tao Cabana is located right on Sairee Beach and so is perfect if you want to explore all the different restaurants and bars along the sand, as well as nearby Sairee Village. If you want peace and quiet, however, be aware that Koh Tao Cabana is quite near the party zone on Sairee Beach and so you will probably hear a lot of loud music during your stay. If you want to party it’s great, if you want peace, not so great. Charm Churee is hidden away on one of Koh Tao’s most beautiful and secluded beaches, Jansom Bay. If you enjoy snorkelling, it’s hard to recommend a better location to be able to walk into the water within a couple of minutes of leaving your hotel room. If you want a rustic, natural place to stay and get away from the crowds, while sitting on your private balcony enjoying the spectacular views over the ocean, Charm Churee fits the bill. While it’s not five star, it’s certainly one of Koh Tao’s most unique properties and has a consistent reputation for customer service. As the resort is built on a steep slope, there are lots of winding paths so it’s not ideal if you have mobility problems. 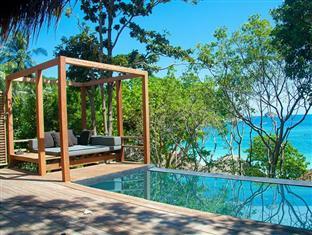 With only three villas at The Rocks, peace and quiet and privacy is assured. 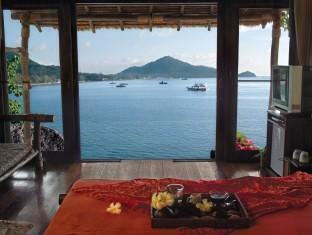 Each villa is tastefully decorated and feels luxurious – perfect for a special romantic treat or honeymoon location. 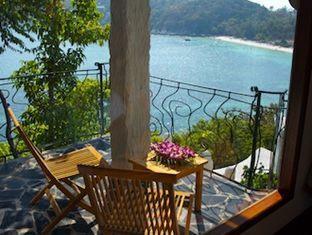 Breakfast is brought directly to your villa balcony so you can wake up and enjoy the seaview. Like Monkey Flower Villa, The Rocks has gained a good reputation thanks to excellent service from the owners who live nearby and are always around to greet guests and help out with any queries. Like virtually all villas on Koh Tao, The Rocks is located up a steep hillside which is a fairly easy walk but for those wanting to explore the island, hiring a bike might be a good idea. If you want a modern villa with contemporary decoration and a sleek, luxurious feel to it, Koh Tao Star Villas fits the bill. With large living areas equipped with flat screen TV and hifi and beautifully appointed bathrooms, the Star Villas are set back from the beach up in the hills above Sairee Village in a quiet secluded area of Koh Tao. The villa owners are always on hand to provide a lift in their jeep down to the beachfront if you want to explore, and they also have a wealth of local knowledge they can pass on to make your stay more comfortable. 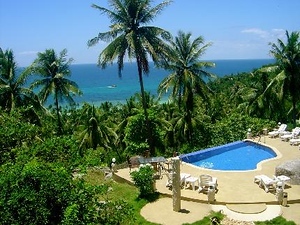 Koh Tao Heights comprises of two villas, Villa Aristo and Villa Adoro, located above Sairee Village and accessible by a concrete road. The villas are all about having a lot of space, with huge living areas inside, and barbeque areas and outside dining facilities outside in well laid out gardens. It’s the perfect spot for families or big groups of friends who want somewhere to spread out. 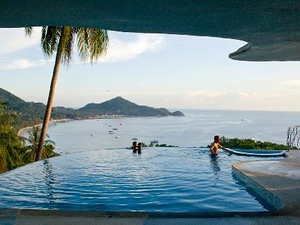 There’s also a private infinity pool which is shared by the two villas. One of Koh Tao’s classic upmarket hotels, Sensi Paradise is not technically a five star hotel but it has the ambience one. 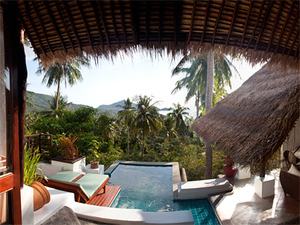 These are two luxury villas on Koh Tao which have recently been built with their own pools and great sea views. They are not technically 5 star because there is not the usual 5 star resort style service that goes with them – they are basically very pretty, self-catering villas where you can get away from the crowds and enjoy your own privacy. Reviews of Lipanaa on Tripadvisor are generally positive, but there’s not much feedback about Jivarah so far. 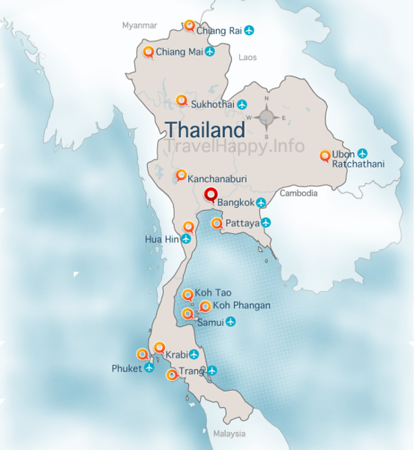 Besides these places, there is not much else in the upmarket bracket in Koh Tao, although there’s a fair amount of overpriced mid range accommodation. There is plenty of cheap accommodation on Koh Tao, usually provided by dive schools like Learn To Dive On Koh Tao, Coral Grand and so on – you get steep discounts on accommodation if you sign up to do a dive course or fun dives. 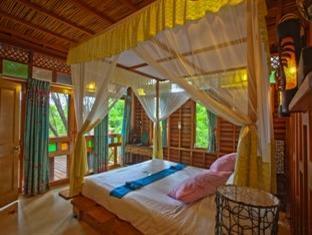 There’s also still plenty of budget wooden bungalows just by the beach too, so backpackers do not need to fret. Koh Tao may be going upmarket, but it’s unlikely to become another Koh Samui. For now the budget, middle and luxury hotel accommodation exist quite peacefully side by side on Koh Tao, which is good for everyone, and the luxury accommodation still has a touch of individuality, even if it sometimes comes with quirks.